Tile roofing has long been a favorite choice among homeowners who prefer a beautiful, economical, and long-lasting solution for their roofs. Unfortunately, tile roofing can be quite expensive. 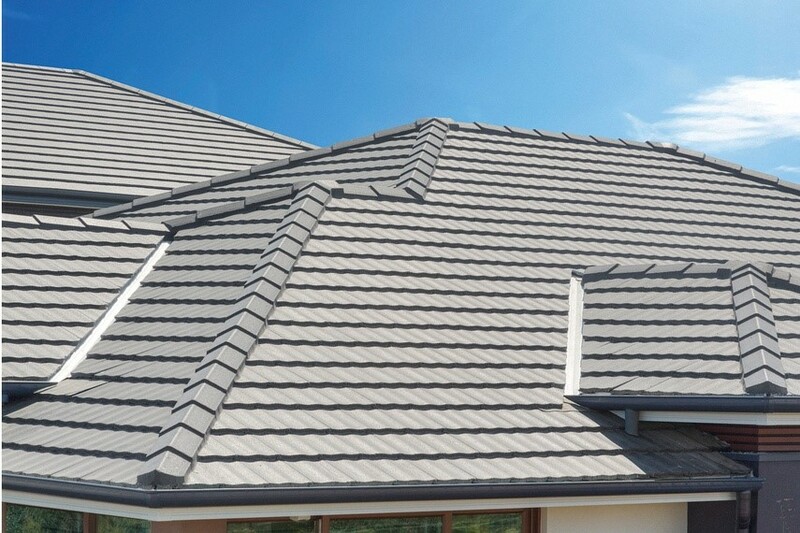 There is, however, an alternative option for those of you who want the look of a tile roof without the high cost. Concrete tiles. Ever since the early 19th century, concrete tiles have been constructed from a mix of sand, water, and cement. Citizens in Bavaria had their homes built with these concrete tiles and many of these homes are actually still standing today, proving the durability and long lifespan of concrete tiles. Eventually, builders were able to color these tiles with pigment, and technological innovations have made the production of concrete tiles more economical than many other products used for roofing today. Concrete tiles alone can’t keep your home safe from cold, moisture, or heat, however. Even the best tiles need a sufficient underlayment lining to help fortify a roof from the elements. Let’s take a more in-depth look at what makes concrete such a great choice for roofing, and how you can support it with the best underlayment for concrete tile. For starters, most well-made concrete tiles will last you the entire lifetime of your home. This is why they usually come with non-prorated, transferable lifetime warranties. Most other types of tiling only come with limited warranties, in comparison. Concrete tiles are very durable, being resistant to high winds of up to 125 miles per hour as well as having a class 3 rating for hail resistance. They’re also Class A fire rated, and exceed most seismic load requirements of today when properly installed up to code standards. In addition to these benefits, concrete tiles are very cheap compared to other types of tiles. Considering the fact that some of these tiles can last over 100 years, they come in at a lower lifetime cost compared to other roof material like asphalt shingles. They also stand the test of time better, maintaining their beautiful look throughout their lifetime. One of the best things about concrete tiling is that it comes in a variety of different colors and styles. They can also be used in cold or hot climates as long as the installation is done properly. Concrete tiling can even be styled to look exactly like other types of tiling you may prefer. Stone, clay, slate and wood shake can all be mimicked to a tee with concrete, without sacrificing the durability it’s known for. The color options are another selling point of concrete tiles. Multiple different colors and shades can be used on the same roof, in any kind of pattern you want. The tiles can be colored in deep, rich shades or bright whites. In the event your building has a roof structure that is unable to withstand the weight of traditional concrete tiling, lightweight concrete tiles are available for re-roofing. When it comes to maintaining your tiling, a simple yearly inspection should suffice. The biggest threats to concrete tile are moss and leaf buildup. Power washing, zinc strips, and biocides can all be used to combat this if you find you have a problem. The best underlayment for concrete tile is usually a synthetic brand, like Barricade. Barricade underlayment is incredibly durable, as well as possessing anti-slip coating on both sides of it. It has far superior strength compared to felt based underlayment, as well as superior tear resistance. It also offers a whopping 33% more coverage when compared with 36-inch felt, and 14% more coverage compared to other 42-inch synthetics. The install time for Barricade’s synthetic underlayment is also much faster and easier. It doesn’t wrinkle and lays perfectly flat, saving you time and money on the installation process. For those of you in hot climates, Barricades offers UV protection for anywhere from 60 to 180 days. It also features a cool gray surface, making it around 30 degrees cooler than black underlayments. Since the days of old, concrete tile has been used to provide protection, style, and durability to the roofs of houses across the world. We’ve since seen massive improvements in how it’s produced, and it has become one of the most cost-effective and popular choices for roofing houses. With the right installation and underlayment, concrete tile can protect your house for an entire lifetime. Barricade offers some of the best options around when it comes to underlayment lining for concrete tile. Whether you live in a hot or cold climate, protecting your roof with Barricade underlayments will keep bad weather from tearing your roof apart and keep the installation process from burning a hole in your pocket. That’s what makes it the best underlayment for concrete tile.